Work with a partner and take turns researching each other's names. Use the links below to explore the meaning of your name. 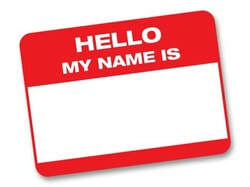 You can read about the history of your name, similar names that it may have come from, the country or region of the world it comes from, and how popular your name is. Take notes on what you learn about your name on the note-taking page.